The Military Manpower Administration said on Thursday that enlistment will be deferred for conscientious objectors who refuse the mandatory military service until they are legally able to perform alternative civilian services. The Constitutional Court ruled last week that a clause of the Military Service Act which does not recognize alternative service as a substitute for conscription is unconstitutional. The MMA said it has decided, in acceptance of the ruling, to postpone the enlistment of conscientious objectors -- those who refuse mandatory military service on grounds of conscience or religious beliefs -- until alternative services are legally introduced. 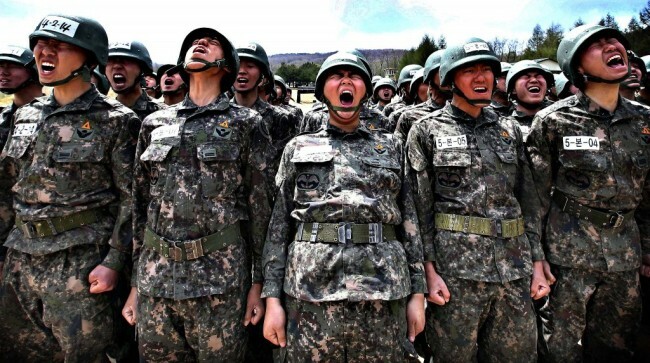 Following an order issued by MMA Commissioner Ki Chan-soo, regional offices of military manpower administration on Wednesday began receiving applications to put off enlistment dates from those who have refused to join the military due to religious or other beliefs. Applicants are required to submit an application form for delaying enlistment, a certificate from a religious group that they belong to, a personal statement and a confirmation letter to the regional branch of MMA. The MMA will then decide whether to defer their enlistment after thorough review, an MMA official said. “Seven people have already applied on the first day,” the official said. Under the military service law, the MMA has so far pressed criminal charges against conscientious objectors. The Constitutional Court last week ordered the revision of current laws by Dec. 31, 2019 to give conscientious objectors an option to perform alternative civilian services as a substitute for military service.